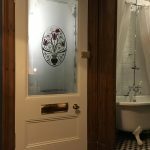 In 2015 we were asked for one of our Mackintosh Fused Glass designs but without the standard flower and with only leaves. 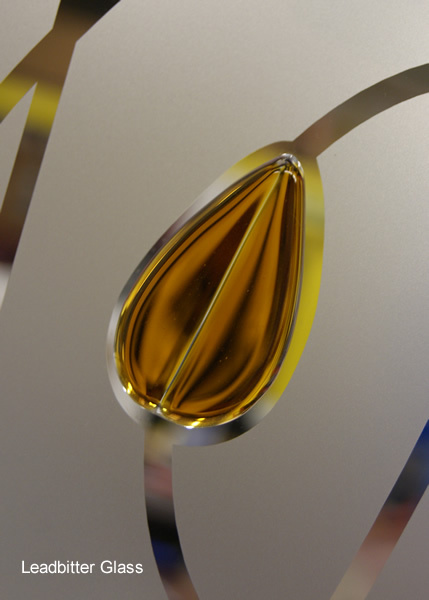 We created the customers drawing using a Golden Yellow for the leaves as requested by the customer. 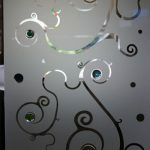 The design looked really good so we actually added it to our main gallery and it became design number 513. 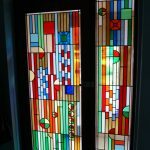 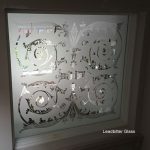 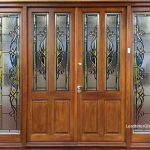 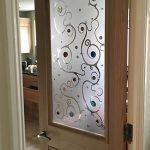 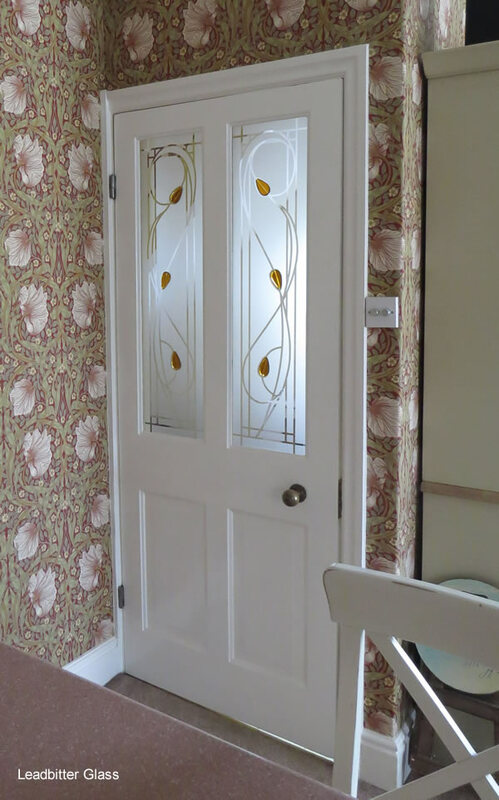 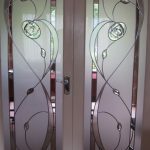 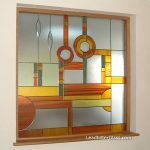 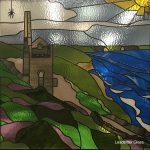 The background of the glass was sandblasted glass with all of the thin lines in clear glass.